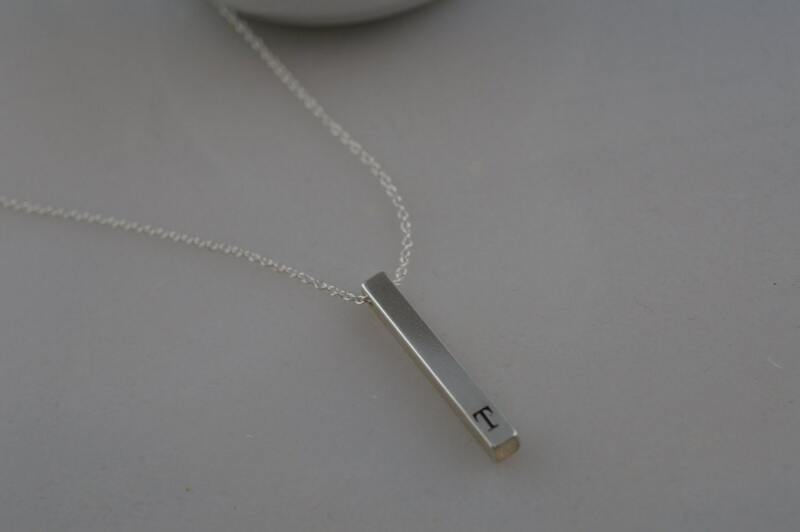 Simple and modern, this custom initial necklace will become your new everyday piece. 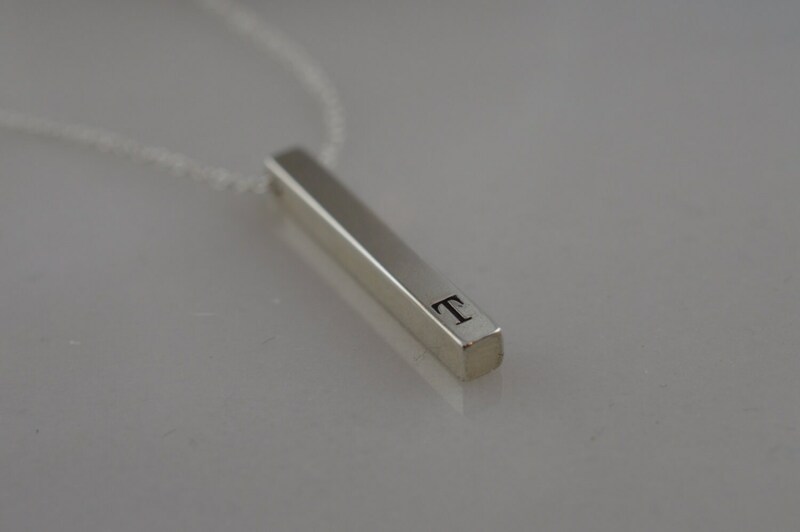 Your choice of letter will be hand stamped in a heavy, solid sterling silver 3D bar. 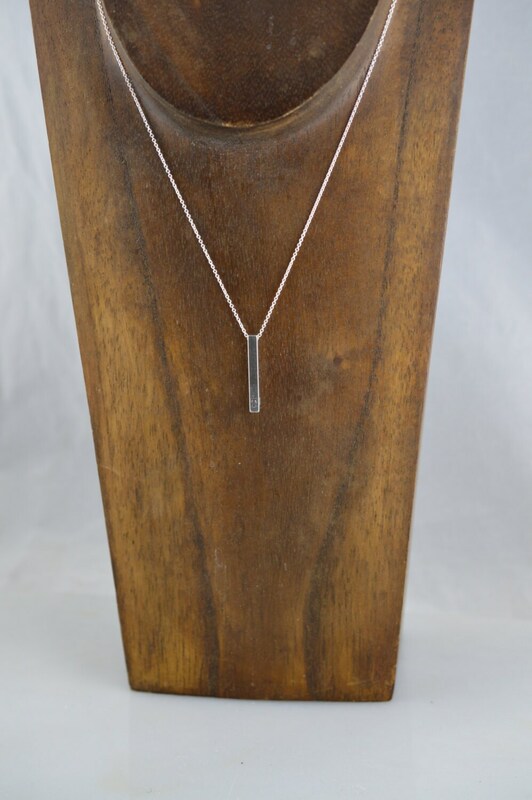 It is strung on a sterling silver chain in your choice of length.